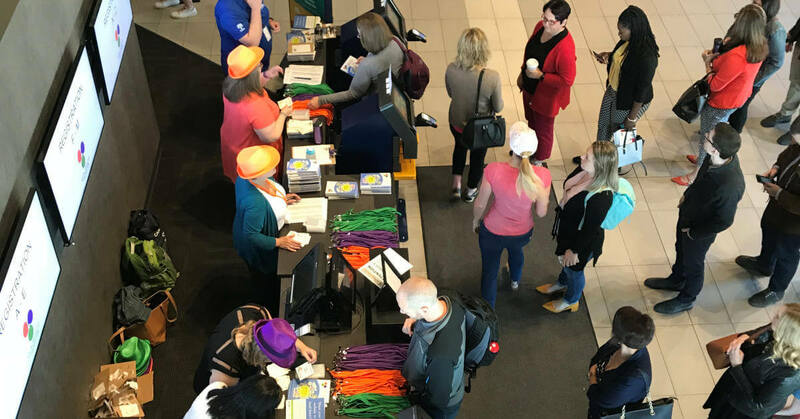 If you attended Social Media Day Halifax 2018 on Friday, I sure hope you enjoyed yourself and learned lots. I know I did! And not all my learning was from the presenters and sessions. Here are a few examples from the event organizing side of things. 1. It doesn’t matter how many lists you make or how prepared you are, tech will give you a tummy ache at some point. Anything last minute that needs tech, also needs a backup plan. (Big thanks to my sister for helping me print conference nametags at 11pm the night before!) Note: If you buy labels or cardstock items at a Staples store, don’t expect that their Copy & Print shop will print them for you. 2. Test things that can be tested. And not just tech things. When a vendor’s website says one item goes with another, that doesn’t mean it’s so. For example, 4″x3″ nametags do not fit into 4″x3″ nametag holders. 4. Communicate really well on the things that can’t be automated. 5. Assumptions will cost you time. The organizing team communicated A LOT and, still, assumptions about who was doing what cost each of us time at some point. 6. Make a detailed list of things that went wrong and things that can be improved on – lessons learned. And not just from the day of the conference but also from all the planning and work that went into it. I’m not willing to depend on my memory so this is one of my next tasks. Planning a conference is fun … and challenging. And sometimes the best way to learn is from experience.